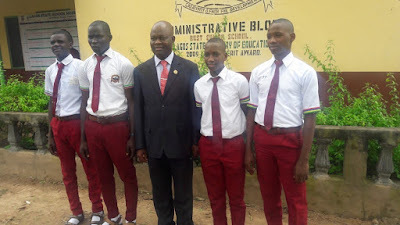 The students – Judah Agbaosi, Faruq Yusuf, Isoaka Ramon and Peter Jonah – were in high spirits when a team of the Lagos State Ministry of Education led by the permanent Secretary Mr. Adesina Odeyemi, visited the school on Tuesday. He said the school management had put adequate security and other measures in place to boost their confidence as they settle down for learning. When asked if he would change school if given the opportunity, he said: “I will not because I really like the standard here. Besides the school encourages student to have relationship with the teachers.” . God will always and forever protect you guys.